The Emotionally Intelligent Preschooler (Part One) - Early Education Salt Lake City I Child Time Inc. There is a growing awareness of bullying in schools as it has been reported that one in three students experience bullying, with a majority of its prevalence beginning in middle school. Although statistics suggest that bullying isn’t necessarily increasing in schools but rather we’re becoming more conscious of it and no longer sweep it under the rug, it’s important to recognize why bullying begins in the first place. Ground zero for bullying is a lack of empathy, which is why early preschool programs are beginning to implement teaching empathy to preschool-aged children to foster an emotional intelligence that will blossom as they enter the public school system. At Child Time Inc., we focus on early education in Salt Lake City that cultivates and teaches empathy, as it’s integrated into our educational foundation that allows our children to follow their curiosities and build their own curriculum. 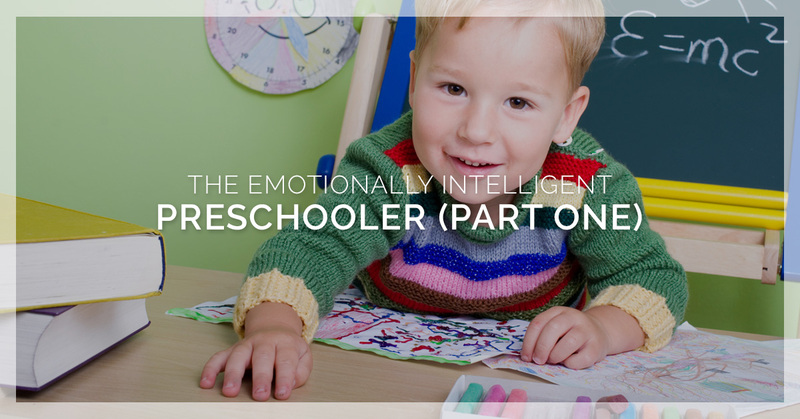 If you’re curious about the emotionally intelligent preschooler, join us in today’s post! It can be an odd thing, teaching a little one empathy, but it’s a trait that greatly expands their emotional growth and gives them the tools to not only deal with negative situations, but it also prevents them from becoming someone who lacks it. Empathy is a skill just like communication, and the more aware and in-tune our kiddos are, the better they can deal with different events that life brings — essentially, they’re better adjusted and equipped. Teaching empathy to a child can be natural, as it’s simply giving them the tools and words to work with so they’re able to draw on it later. Being preschool-aged — around three or four — empathy isn’t necessarily their first reaction. It’s common in this stage of development for them to be more selfish and they’re not yet capable of understanding what empathy is, but this doesn’t mean you forego it until they are. It’s instead working through situations and modeling behavior until they are. Part of becoming emotionally intelligent is fostering empathy in everyday life, and below are ways to start familiarizing your little one with the concept of empathy. Identifying emotions – Your preschooler will likely feel big feelings and these feelings are new and they don’t yet know how to identify them. 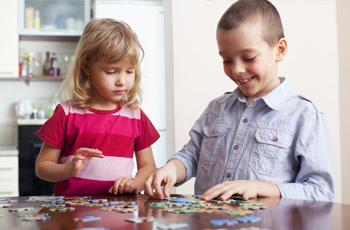 Help your child by putting a label on the emotions they’re experiencing. If the dog is sick and they’re taking it water and sitting with it, tell them how kind and loving they’re being. Or, if their big brother and his friends won’t play with them because they’re younger and they’re upset, explain that they may feel hurt because they’re being excluded. In every situation you can, help them verbalize and pinpoint their feelings. Compliment empathy – When your preschooler is empathetic, be sure and praise them for it. Highlight exactly what they did and be very specific when you describe it. If they see a homeless person and ask about why they’re on the street and proceed to give them their snack, make that a focal point. We’re going to leave you hanging! There is so much more to cover on empathy and an emotionally intelligent child, so stay tuned for part two! For more information about our toddler preschool and the curriculum we follow, call our office today!